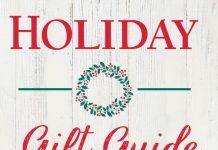 From premium vanilla beans to pure vanilla sugar, Heilala Vanilla’s got something for everyone this holiday season. Vanilla is one of the most important ingredients in our baking arsenal, but not all vanilla is created equal. That’s why we turn again and again to Heilala Vanilla. Heilala sustainably grows and produces vanilla on their family-owned farms in Tonga. 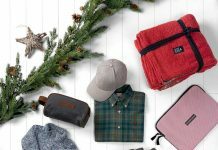 Guaranteed fresh, fair trade, and full of that complex vanilla flavor we crave, Heilala’s products consistently rise to our high standards. 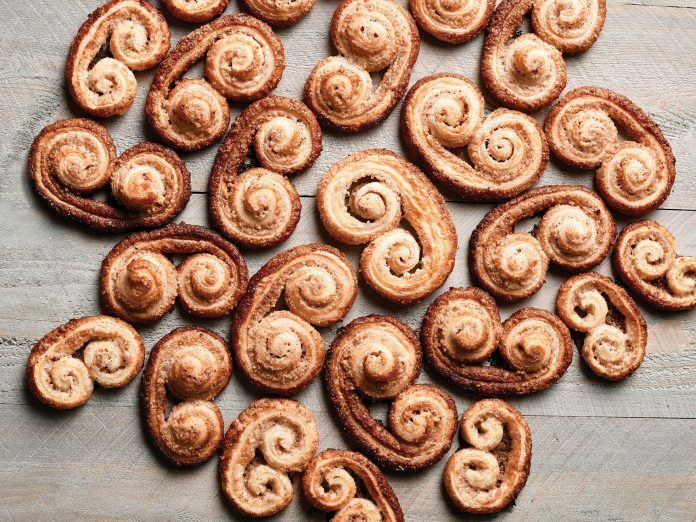 Whether we’re flavoring our vanilla Bundt cake with their Pure Vanilla Extract or adding their Pure Vanilla Bean Paste to our Eggnog Babka Knots, Heilala Vanilla brings game-changing flavor to our favorite holiday recipes. 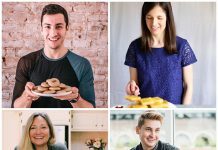 Find Heilala products on Amazon.com, and use the discount code BAKEFS03 to get 20% off through March 31, 2019! 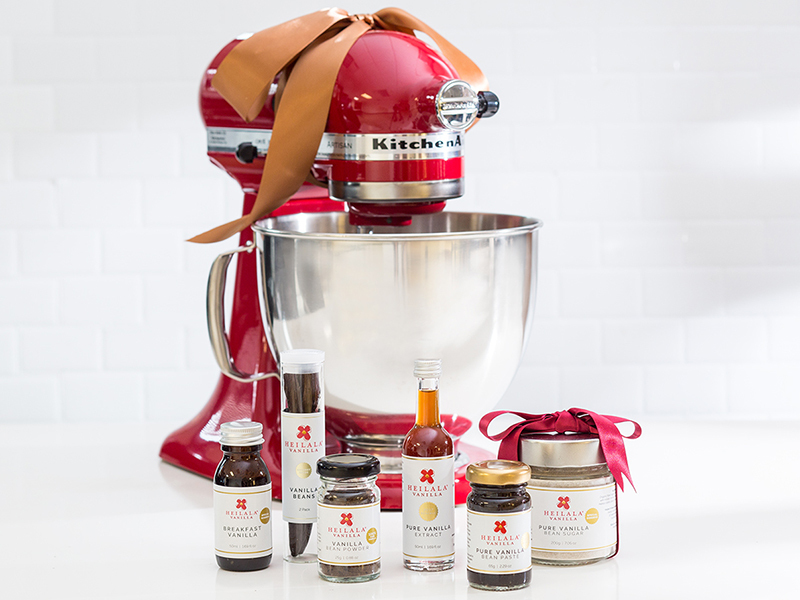 And don’t forget to enter our Heilala Vanilla holiday giveaway for a chance to win a baking kit of all the Heilala Vanilla products you’ll need to make these recipes (plus a fabulous KitchenAid stand mixer)! Buttery caramel drizzled over a tender vanilla cake—it’s a match made in confectionary heaven. 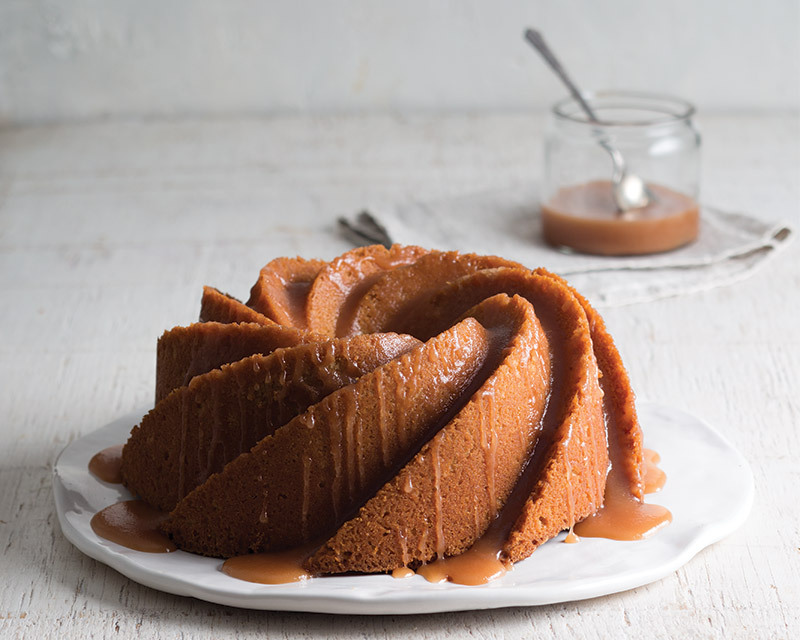 Made with premium, cold-extracted and slow percolated Heilala Pure Vanilla Extract, there’s no beating this indulgent Vanilla Bundt Cake with Bourbon-Vanilla Caramel Sauce. 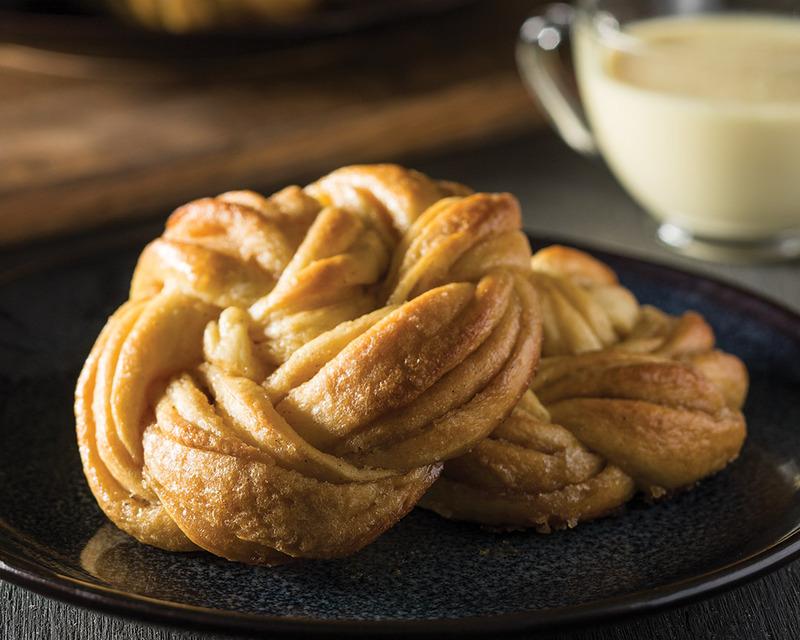 Our favorite holiday quaff imbues these babka knots with warm notes of nutmeg and velvety vanilla custard. Award-winning Heilala Vanilla Paste adds the flavor and appearance of vanilla bean seeds without all the scraping. For an extra dose of holiday decadence, we made a rich Brandy Crème Anglaise as the perfect dunking sauce for our elegant babka twists. Simultaneously airy and decadent, these pear-walnut muffins are the perfect treat for winter mornings. 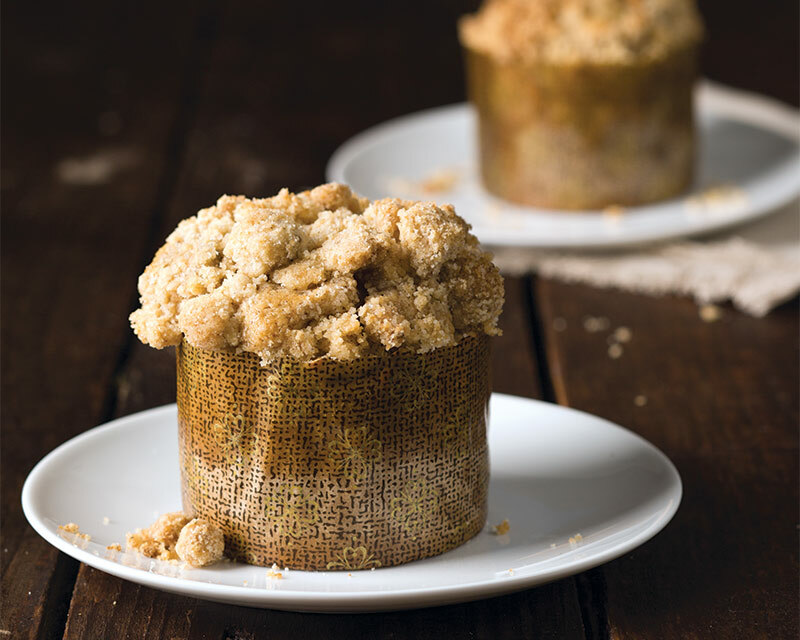 Premium Heilala Vanilla Beans in the streusel soften the punch of the ginger to give a rich sweetness with a mellow bite. 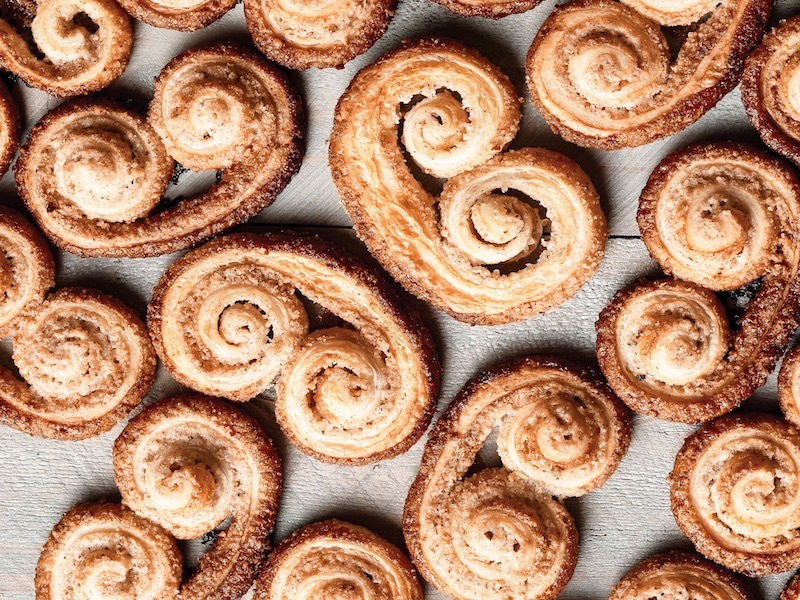 Palmiers might just be the perfect cookie: crisp, buttery layers of puff pastry encased in caramelized sugar. It’s hard to improve on something so classically perfect, but we think our version, made with rich, aromatic Heilala Vanilla Beans comes pretty close. 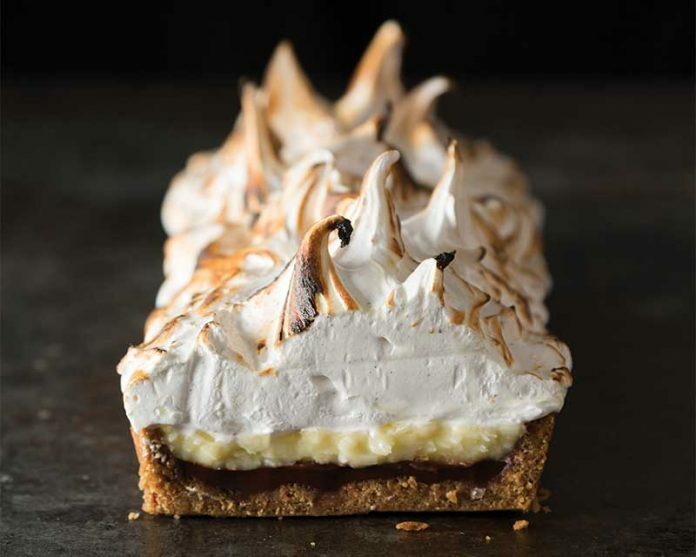 Tall peaks of toasted marshmallow fluff top the layers of coconut pastry cream and dark chocolate ganache that fill the homemade graham cracker crust of this decadent tart. Sweet and creamy Heilala Pure Vanilla Extract adds depth and complexity to the pastry cream. These two-bite treats are simple to make and excellent with a strong cup of coffee in the morning. 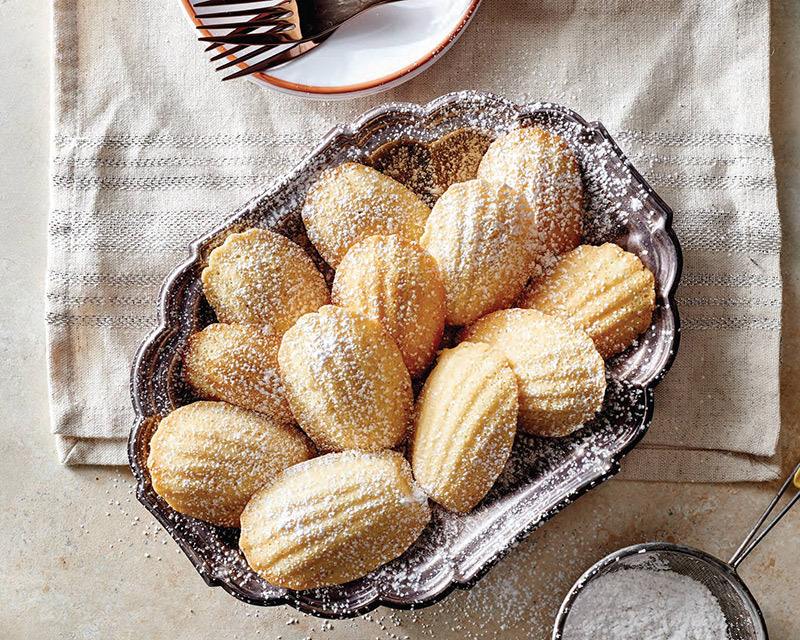 Heilala Pure Vanilla Extract lends a delicate flavor to these classic French cookies.